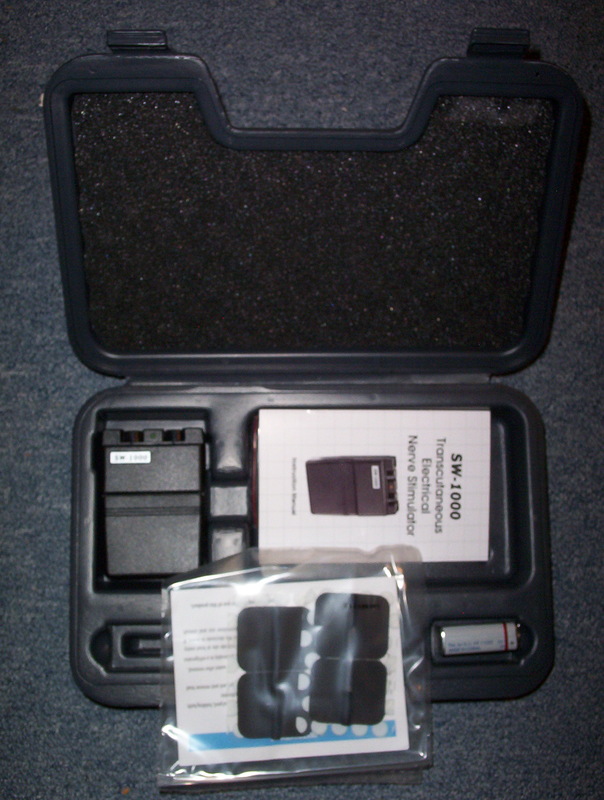 SW-1000 tens unit manufactured by Lumiscope before they were bought by Graham-Field, 60-250 microsecond adjustable pulse width, adjustable in frequency from 2 to 150 Hz, with the additional option sinusoidally cycle with a period of 4 seconds. Each unit has two outputs to control two independent connections through 4 electrodes. Virtually identical to another unit we have in stock (click here). Extra features: 4 second sinusoidal cycle wave in intensity, fixed. Total charge limit 16 microcoulombs per pulse.